What can I say? There are so many photographers in Los Angeles and Orange County, but it's hard to find one that has the professionalism, skill, and precision in execution of a large seasoned photography company, but still give you the passion and attention of an independent freelance photographer. When my husband and I first met Nathan and Alex of Prince Productions in their studio while planning our wedding their breadth of knowledge and workmanship definitely impressed us. They showcased beautiful weddings of all sizes and themes. But what made us book them was how friendly they were to us. We wanted someone we could talk to with ease and feel comfortable with but feel the confidence in their ability to capture our day perfectly. We also wanted a photographer who could go above and beyond by helping us meet all of our engagement and wedding needs. Our list was extensive and we had a hard time finding a photographer that would be willing to do everything without charging us an unreasonable amount of money. What we asked for was engagement photo sessions in Seattle and Los Angeles, extended day of wedding photography/videography with a drone, same day edit, and same day printed thank you cards. They didn't even hesitate in saying they could accommodate everything we wanted. Our engagement sessions were beautiful and amazing. Nathan and Thamer flew up to Seattle to meet us and took their time in capturing all of the iconic locations that reflects my husband's hometown. Then we had a separate engagement shoot in Los Angeles that was representative of my hometown. I loved that they were willing to travel out of town to make our engagement shoot special. On the day of the wedding, Nathan and the team were rock stars! I saw them running around and taking pictures and video non stop. They arrived on time and in full force. I asked for extra time in the beginning of the day because we had a tea ceremony at my family's house and they had no problems agreeing to an extended day. They had told me that it wasn't their first time being part of a tea ceremony, so that gave me confidence in their abilities to capture all of the significant cultural moments. The team also executed the same day thank you cards seamlessly. They printed out photos of us from our wedding ceremony and another photo of us and our guests and had them handed out by the end of the night. As great as that was, the most impressive thing was their Same Day Edit. It was absolutely phenomenal and we received so many compliments on how awesome it was. No one could believe that such an epic video of our wedding day could be put together in such a short time. I even have a friend who is a DJ in the wedding industry tell me that he hadn't seen a better Same day edit before in all of the weddings he's been part of.. I still get chills watching the video! My husband and I are absolutely in love with the entire Prince Production team. I was introduced to Nathan's videos from his wife and found myself crying when watching all his videos. When my fiancé (now husband) and I started planning our wedding, Prince Productions was literally the first vendor I wanted- even before we had the wedding venue. In fact, Nathan recommended our venue... and just by looking at photos from a previous wedding that he sent us, we fell in love and booked a tour of the venue. Nathan knew exactly what we wanted and man did we win! Now on to the actually planning of the wedding! Alex was our engagement photographer and met us down in Temecula for our shoot. Alex was fantastic and his photos were more artistic than the standard posed engagement photos that I have seen. My fiancé and I were in awe with his photography. When the day was over, everyone kept on saying how impressed they were with the production team. We constantly heard that you knew they were there, but that they never got in the way (I'll call them ninjas). No one wants to see a videographer walking down the aisle prior to the bride... but he got it all! When we got our photos from Alex, our family was speechless as we looked through the photos remembering the best day of our lives... AND THEN when we got the videos, we sat there crying as we watched the highlight. Nathan truly outdid himself. So do I recommend Prince Productions? ABSOLUTELY! Prince Weddings were amazing! We specifically worked with Nathan and Elizabeth and they were truly wonderful. From the initial meet and greet, ongoing communication, and organization for the big day, knew they would be awesome to work with. The day of the wedding was beyond what we had expected. They captured all of our special moments from our wonderful day. We couldn't wait to see the footage and when we did we were blown away. Our IG clip and video were AMAZING. I don't know how many times we have viewed the videos because they were that exceptional. If your contemplating getting a videographer.... Stop now and book them!!! You will not be disappointed and you will be able to relive this beautiful day forever. We truly loved them and we had so many compliments about how wonderful our videos were. Go with Prince Weddings!! You will love them!!! We researched several wedding photography and videography teams prior to selecting Prince Weddings. We selected Prince Weddings after meeting with the company owner, Nathan. During our consultation meeting, Nathan answered all of our questions and clearly explained how his team works. Nathan has a lot of experience and everyone on his team also has experience. They typically don't hire photographers based on the event. They have a core team and are familiar with each other's work. We felt confident having his team in charge of documenting one of the most memorable times of our lives…. We had our engagement shoot with Thamer. He is a great person to work with. He's personable and professional. He understands which shots will work and which won't. A few days after our photo shoot…. 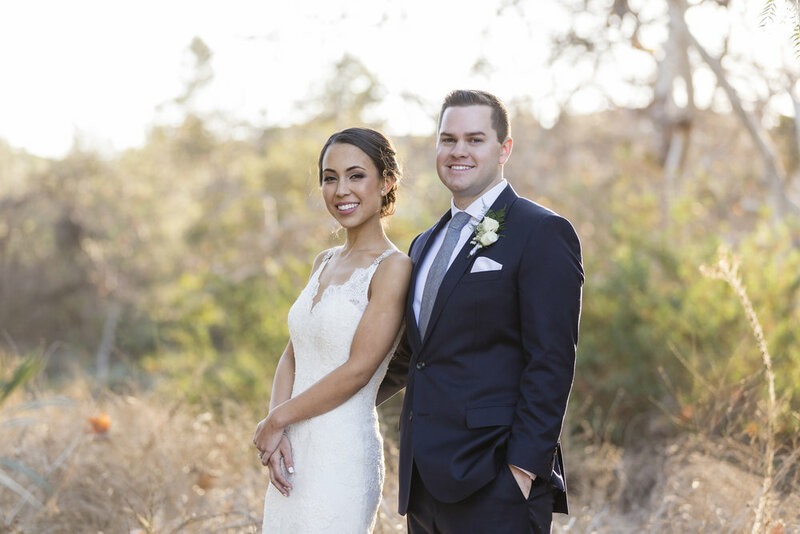 We were really impressed that Nathan scheduled a call with us a couple of days before our wedding to refresh himself and their team on what we wanted to accomplish and iron out any details that should or shouldn't be captured…. Prince Weddings did an exceptional job capturing our wedding day. The entire team's professionalism and talent impressed us. Prince Weddings understands how large of a responsibility it is to document a wedding and they take that responsibility seriously. We could not have been happier with our decision to work with them. Where do we even start?! From our first email, Nathan has been amazing to work with! Emails, phone calls, and text correspondence has always been quick. Nathan quickly put together a quote for us on our first meeting. And from there, I must have added on a million requests that he was able to fulfill. Skip a few months later, we had our engagement shoot with the lead photographer, Alex. We met in Santa Barbara and was able to shoot in two locations in a very short period of time. He was able to get such amazing shots of us. Made us feel comfortable even for an awkward couple like us! We used four of the pictures from the shoot as blown up canvas displays for the wedding! This past Saturday was our wedding! Elizabeth confirmed day of timeline through email. I also got a call two days before from Alex to walk through the timeline, where we can fit in bride and groom shots etc. This was not an easy wedding to shoot. And I still can't believe how everything went. Their team was split up, groom and bride's houses. Two separate vietnamese tea ceremonies. A church ceremony afterwards. And pictures at the park. Then the reception. Then they also were able to get a SDE video editing and shown during the wedding. Our guests loved it all! They really have everything you can think of. Same Day Edit, Drones, Photo Booth, a great large team. We can't thank you enough Nathan Prince and the Team for sharing this crazy 14 hour day with us!!! Can't wait to see the pictures and video. If you are looking for a wedding photographer and/or videographer, Prince Wedding Production is for you. I would be not surprised if they are booked because this team was phenomenal, professional, and fun to work with. By far, we're so so so ecstatic with how beautiful our video and photos turned out and honestly, we'll always refer this production team to any new bride and groom. 1. PROFESSIONAL. There were not just a few people involved, but the entire staff. From their responsive office assistant prepping with a questionnaire and answering any prior questions to their camera crew being on time and efficient throughout the day of the wedding. 2. SAME DAY EDIT. Nathan Prince and his videographer team were spectacular. He turned around and completed our wedding video to showcase at our reception and let's say that many tears of happiness were shed that night. You'd captured great, quality and genuine moments between my husband and I given the limited time we had with you. Bravo. 3. AFFORDABLE COST. We all know photography + videography takes a huge chunk out of your wedding budget. Yet, the money spent for Prince Wedding services was worth every single cent, which was actually affordable compared to other production companies. Plus, they offered same day edit videos! Nathan (Videographer), Alex (Photographer) and the rest of the team-- you all made our wedding experience so memorable. Thank you very much for being such a fun crowd to work with especially when you all knew how to lighten the stressful mood that we were feeling throughout the day and patiently work with our crazy 400 person wedding guests. As a groom, I was delegated some of the "easy" work that wouldn't interfere much with my bride's vision of the "perfect wedding". To our surprise, booking Prince Productions for our wedding was one of the best decisions we made! As I made my "research" on photography and videography, I came across many horror stories about the lack of communication within vendors. Sharing the time with the bride and groom was always an issue. To prevent this from ruining our day, I looked for a vendor that would provide both. I spent many hours browsing through websites and watching clips from different weddings. As the clips became repetitive, I started to lose focus. Then I stumbled upon Prince Productions. Man, the very first video I watched caught my attention! I couldn't believe it looked so good, so I watched it again. Couldn't believe it, so I watched another! Before I knew it I was sending Nathan an email to inquire about their services. Communication between myself and Nathan was awesome! I would send him email and he would reply. If he couldn't, Elizabeth would reply. She is awesome as well! If I couldn't reach him fast enough, I was able to text him. I have no idea how he put up with me, but I'm glad he did. Our engagement shoot was with Alex Morgan. This guy is amazing! Unique to say the least. His vision is one you have to wait to see. You won't understand it at first, but when you see his work you'll understand the madness going on in his head. Great work Alex! Now, the wedding day. It's the most important day of your wedding planning and it's the day you'd like to go as planned. Luckily, I had nothing to worry with Prince Productions. They knew how to split the time between video and photo. We never felt like we had to split ourselves into a million pieces to get everything done. Not only that, but the majority of our guest kept asking about them! You know they're doing a great job when your guests ask about them without seeing their work quality!! My fiance and I looked for months for the team that we can trust to capture our lifetime of memories and it was worth the long and hard search. We had an all day wedding with mixed traditions and cultures and was worried that Nathan and his crew wouldn't be able to keep up with us. Not only they were on top of their game, but they were always one step ahead of us, capturing every angle possible. The whole crew was on time and I don't think they ever took a break from the long day; very hard workers with wonderful ideas. Thank you Nathan and company! We will never let anyone go with another wedding photography team. Prince Productions + Videography = The Best EVER! My husband and I absolutely loved our experience with Prince Productions. We used one of there photographers, who they hand selected to compliment our style. It was so special to us that they went out of their way for us to implement our faith into our highlight video. It was so special to have that be present throughout the whole film/wedding video. Our wedding video was so beautiful and exactly what we were hoping for. The videography was exceptional. Also our disc/dvd got lost in the mail and Prince Productions sent one out right away to ensure we had our wedding video to view. I want to personally thank Nathan Prince, Elizabeth Nardella and the rest of the Prince Production team who all worked so hard on creating the most magical video I could have ever asked for. When my husband and I watched our video for the first time it felt like we were reliving our Big Day all over again. So dreamy and enchanting. My husband and I were especially thankful for the teams special attention to detail. Nathan I greatly appreciate your professionalism and skill. Elizabeth thank you for all of your follow up emails & check-ins to confirm changes. Again thank you for making our day so special. We were so blessed to of had you capture our DAY into film and photos that we will be able to share with friends and family for decades to come.